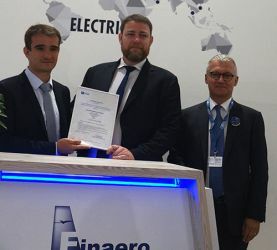 Finaero pursues its development and announces at the Paris Air Show the attribution for its interiors branch, AIP, of EASA’s PART 21J certification. The interiors branch AIP will now be able to certify its own designs through its recent PART 21J (EASA.21J.561) certification, in addition to its already existing PART 21G (FR.21G.0065) and PART 145 (FR.145.546). 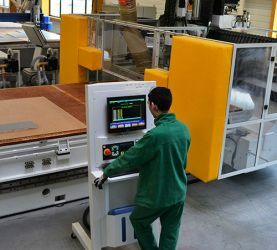 This qualification will enable Finaero to offer its customers an even broader array of interior design services supported by its Roissy Charles de Gaulle design, certification and product office. Painting & Sealing division, STTS, in order to improve the quality and efficiency of its services, has organized its offering into five worldwide divisions. Three new paint hangars (60m€ investment) are now up and running in Toulouse. The company has equally launched operations in the US, in Portland, Washington State, as well as the construction of a new A380 & VIP paint hangar at the new Dubai South airport. 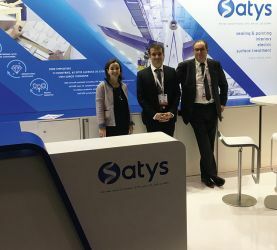 Interiors division, AIP, also recently announced the acquisition of SMTC, the French train interiors specialist, to further extend the group’s aviation interior’s service-offering to the railway sector as well as significantly reinforcing the branch’s production capacities to better serve the aircraft interiors market. Electric division, CIEE, has shown very good progress over the first six months of the 2017 exercise. CIEE is to extend its factory in Thailand which manufactures cables and wire assemblies. The branch is also due to set up operations in the US. “Delivering diversity & quality on-time to our customers remains our number one priority. In order to do so our group has started undergoing a global transformation project underlined by the slogan: 1 group, 1 vision, 1 partner” said Christophe Cador. Finaero pursues its development in cabin interiors and acquires SMTC, a leading original equipment manufacturer of train interiors. 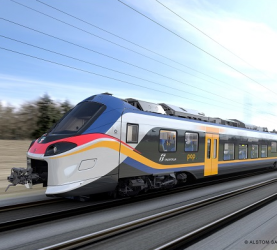 Finaero acquired SMTC, the French train interiors specialist, on May 11th. The objective is to maximize synergies between SMTC and Finaero both in terms of accompanying developments in the rail industry worldwide as well as on know-how and expertise in the aviation industry. SMTC benefited from a 23m€ turnover in 2016 and counts 150 employees on its site in Boufféré (Vendée, France). SMTC will as a result join AIP, the interiors branch of Finaero, specialized in the aviation industry and dedicated to manufacturing tailor-made and small series aircraft interiors. This new acquisition will further extend the group’s service-offering as well as significantly reinforce the branch’s production capacities to better serve the aircraft interiors market. STTS (painting and sealing for the aircraft and rail industries), in order to improve the quality and efficiency of its services, has organized its offering into five worldwide divisions. Three new paint hangars (60m€ investment) are now up and running in Toulouse. The company has equally launched operations in the US, in Portland, which are equally very successful. Finally, STTS launched the construction of a new A380 & VIP paint hangar at the new Dubai South airport. CIEE (electrical systems) has shown very good progress over the first six months of the 2017 exercise. CIEE is to extend its factory in Thailand which manufactures cables and wire assemblies. The branch is also due to set up operations in the US. “Our main objective remains the same, to deliver quality programs on-time” Christophe Cador, President.